Although similar to contemporary kitchens actually has its own look. Browns for cabinets and counter tops is another go to color scheme for modern kitchens. Steel appliances are often used for modern kitchens. Using bright white and a contrast in color is a great look for modern kitchens. The use of gray colors in a modern kitchen remodel is very common and a nice way to design your kitchen. Great looking light color counter top for this modern kitchen. Modern designs will use straight lines and edges. Modern backsplash with a silver accent. Modern under counter top lighting. Modern kitchen cabinets and stainless steel appliances. Often interchanged is modern kitchen designs and contemporary kitchen although they are two different and distinct styles. Contemporary refers to the present time while modern kitchen refers to a time period between the 1920's -1970's. Because our current styles take from modern ideas you may find a lot of similarities. Think of styles from the 1950's and 1960's and that describes modern kitchens. For example Tulip chairs and Egg chairs are iconic pieces from the 1960's. Open floor plans are typical of modern kitchen design ideas so that you can add fashionable furniture pieces and modern art. Vibrant colors are characteristic of modern kitchen designs. CABINETRY The custom cabinets are flat-paneled and frameless. The doors have straight and horizontal lines without fancy adornments and intricate styles. Some cabinets may have doors in which panels are without bevels or hip raise. The material tends to be man-made rather than natural. You'll find a lot of stainless steel, pressed wood, plastic, laminate, frosted glass or concrete. COUNTERTOPS The stainless steel look extends to the countertops as well for modern kitchen design. Not only is it a great look for a modern kitchen, but it's one of the easiest surfaces to clean. Glass countertops, concrete countertops, recycled countertops and tile countertops all shout modern! COLORS Modern kitchen designs use vibrant colors and illuminated with good light. Typically the main color of the kitchen will be white with splashes of vibrant colors. Use colors to add design and style to your kitchen rather than cluttering the kitchen with odds and ends since a modern kitchen is sparse and simple. Dark colors are typically not used with modern kitchens. LIGHTING The lighting should be bright and help to brighten the kitchen very well. Use recessed lighting or simple hanging lights. TILES Modern kitchen backsplashes are colorful and you'll often find mosaic glass tiles in either one solid color or a blend of colorful tiles. Subway tiles are a distinct style of modern kitchens along with recycled glass tile, ceramic and porcelain. 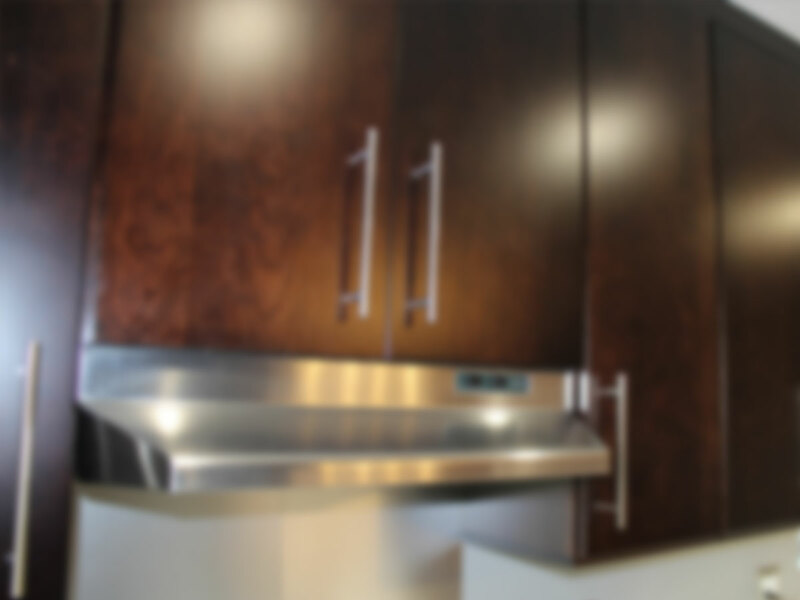 Kitchen Remodeler - LA is your top rated kitchen remodeling contractors serving Los Angeles and neighboring cities. We've been remodeling kitchens for over 15 years. Give us a call. You won't be disappointed!